(See the statement of Elijah’s Board of World Religious Leaders on the subject). The issues of Scripture and Reason are indeed fundamental to any theological project, for they touch on the foundations of epistemology – how we know what we know, and what are the grounds upon which we base our religious knowledge. The question of whether human reason has a role or significance within the more exalted realms of Divine knowledge and disclosure is a question that every religious tradition must confront in one way or another. 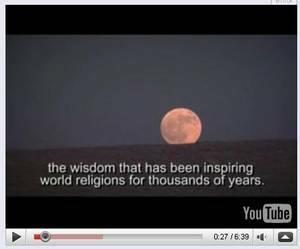 In the case of Islam, this is a particularly vital issue, inasmuch as it once gave rise to the flourishing of the Islamic learning and civilization and inasmuch as it has a direct bearing upon the ways in which the Islamic religious sciences, including law, theology and spirituality, are understood and lived by the more than one billion Muslims on planet earth today. Any attempt at reviving the Islamic sciences and reformulating a Muslim approach to the global question of religious diversity hinges upon this question. 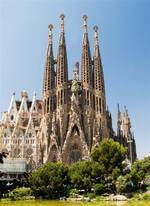 In Barcelona, the team affirmed they do not see themselves as creators of a new theology or paradigm; rather, they envision their task to be one of scholarly restoration, intended to help restore and revitalize important aspects of the Islamic tradition that have been ignored, understudied, misrepresented, often maligned, and prohibited from public access. The fruit of this meeting will be written up into an essay, with contributions by multiple participants, and will be available in a few months. We are happy to bring to your attention three resources on YouTube/Google that have been created as part of Elijah’s ongoing work. It is the most compact introduction to the work of the Elijah Interfaith Institute and to its philosophy. A more indepth resource is found in a lecture by Dr. Goshen-Gottstein, on the theme “Sacred Space in Judaism and Christianity”. The lecture delivered in the framework of the annual Rabbi Meyer Memorial Lecture, in Youngstown Ohio, explores fundamental similarities, differences and transformations in the Jewish and Christian understanding of sacred space. The topic never ceases to grab our religious imagination in view of the centrality, in different ways, of sacred space to our religious experience, and the enormous political and contemporary implications of how sacred space is recognized and celebrated in Judaism and Christianity. The hour long lecture is an opportunity for discussion among our readers. A discussion forum for members will be open during the coming weeks, devoted to the lecture and the ideas it raises, and the lecturer will be on hand to respond and engage with interested members. Finally, a short reflection on the meaning of boundaries and how the role they play in relations between religions can be found below. This brief address, given from the Elijah Institute’s Jerusalem rooftop, with stunning views of the Old City and the desert, gives us the occassion to reflect on when boundaries between religions should be upheld, the dangers and challenges of doing away with boundaries and the need to live with our boundaries in ways that allow us to be inspired and to grow from the contact with members of other faith traditions. 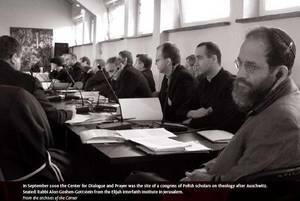 Several recent activities have brought Elijah’s work and my own theological vision in conversation with Christian philosophers and religious leaders in Poland. A few months ago I was invited to address all professors of Christian Theology in Poland at a conference held at the dialogue center in Auschwitz (pictured below). The theme of the lecture was God after Auschwitz. This meeting provided an opportunity for many Catholic teachers of theology to hear a Jewish voice for the first time. It also provided me with the opportunity to form some personal impressions of the state of Jewish-Christian relations in Poland. Having grown up with a stereotype of prevalent antisemitism in Poland and its Church, I was more than pleasantly surprised to encounter a young generation of Polish theology professors, mostly priests, who showed enormous openness to Judaism. There is no doubt that much of this openness can be considered the legacy of John Paul II, who is profoundly admired in Poland. The spirit of open enquiry and friendly relations far exceeded my expectations and suggested that within Poland there is great interest for advancing and deepening Jewish-Christian relations. My visit to Poland and hosting the Polish delegation in Israel provided an opportunity to plan for future activities together. In conclusion, we would like to remind you that Elijah’s new website is designed to help the Elijah community converse amongst itself. To this end, we ask you to register as members on our website. We also count on your membership as a form of support for our ongoing activities. In order to better serve you, we ask you to take the needed moments to register and to support our ongoing work.